NEW DELHI -- When Barack Obama and Narendra Modi meet in New Delhi on Sunday for their second round of talks in less than four months, the biggest challenge they will face is to produce an outcome that is commensurate with the amount of quality time the two leaders are putting into the bilateral relationship. India and the United States were never the best of friends during the Cold War, but ties have blossomed ever since India liberalized its economy in the 1990s, and successive U.S. administrations saw value in allying with a country that could serve as a counter to China and as a burden-sharing partner for Washington in an Asia where its ambitions exceeded its capabilities. The landmark nuclear deal and defense framework agreement of 2005 were products of this strategic calculation. George W. Bush won broad bipartisan support for this initiative, and the backing of corporate America, because there were plenty of tactical gains to be harvested along the way: billions of dollars worth of nuclear reactor sales; the prospect of lucrative arms sales; and the possibility of an open door for U.S. companies looking for opportunities in the insurance, retail and services sector. The U.S. has notched up over $10 billion of arms sales but elsewhere the gains have been notional. In a project with so many moving parts -- domestic politics, the international economic environment and changes in strategic calculus -- it was perhaps inevitable that the actual bilateral story would drift away from the imagined plotline. Nuclear commerce is stuck because American companies like GE and Westinghouse -- which regard being sued for a nuclear accident as part of the risk of selling reactors inside the U.S. -- are unwilling to subject themselves to any claims for damages in the event of an accident in India. India's liability law is seen by them as an obstacle and the Obama administration has spent the past four years trying to get the Indian side to dilute its provisions. Will it succeed now that India has a prime minister with a reputation of putting business over other considerations? Or will giving foreign nuclear suppliers a free pass in the event of an accident that they might have contributed to be a bridge too far even for him? So far, there is talk of a written assurance from the Indian attorney general to the effect that the provisions of the liability law will not be used to penalize U.S. firms. But such an assurance is of dubious legal validity since only parliament or the courts are empowered to read down or change any statute. U.S. firms, especially in the pharmaceutical sector, are also anxious about the Indian law on intellectual property that disallows the "evergreening" of patents on the basis of minor modifications. When Modi visited Washington last September, he was persuaded to accept a joint working group on IP issues; that said, any attempt to dilute the law will be politically controversial in India even for a leader that enjoys the kind of support he does today. Going beyond the narrow confines of commerce, the two sides lack a common understanding of how the world trading system should evolve and what each country must do on the question of global warming. Obama reached a climate change deal with China on the eve of the last G-20 summit and he will be looking for India to make some kind of binding emission commitments. Even if the Modi government were willing, the Indian side has done precious little to model the likely trajectory of carbon emissions under different growth and elasticity scenarios and would thus be in no position to set realistic targets. "Given the difficulty in achieving a breakthrough in any of the major problem areas, why is Obama going to India? What does he hope to achieve?" On the political front, there are major differences on some questions like the situation in Ukraine and Syria but each country knows where the other stands and there is little Modi and Obama can say or do to bridge the gap. Given the difficulty in achieving a breakthrough in any of the major problem areas, why is Obama going to India? What does he hope to achieve? I think the primary objective is to reinforce the strategic nature of the relationship by finding ways to enlarge the scope for joint action that are not dependent on what happens at the transactional end. One can think of this as a return to the calculations of the Bush administration back in 2005. The nuclear opening was premised on India supporting the U.S. politically on wider questions of Asian security, whether it be the Iran nuclear issue or the rise of China. The Manmohan Singh government played ball with this agenda but only up to a point. The Indian appetite to appease the U.S. was the greatest between 2005 and 2008, when the nuclear deal was being piloted through Capitol Hill and the Nuclear Suppliers Group. But from 2009 onwards, New Delhi sought to devote more attention to other strategic vectors, such as its relationships with China and Russia, the formation of BRICS and so on. India still regarded the U.S. as its most important relationship but it was now less willing to play a zero-sum game with other partners. Could this approach change under Prime Minister Modi? Obama and his advisors hope so and they are doing everything possible to encourage such a shift, especially as far as China -- the object of Washington's "pivot to Asia" -- is concerned. In his first few months, Modi has enthusiastically embraced the idea of India teaming up with the U.S. and Japan, and also Australia. While in Tokyo last year, he criticized the "expansionism" of certain unnamed countries and accused them of "encroaching on the seas of others." 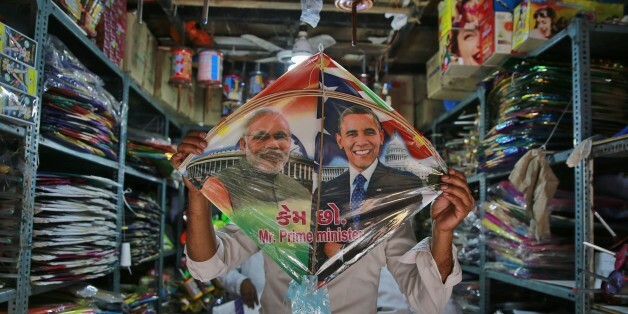 What Obama would like to do is to channel Modi's natural instincts into an institutional framework in the Asia-Pacific that harnesses India to the American pivot. A step in this direction was taken at their last summit. "Noting India's "Act East" policy and the United States' rebalance to Asia," the joint statement issued at the time said, "the leaders committed to work more closely with other Asia Pacific countries through consultations, dialogues, and joint exercises. They underlined the importance of their trilateral dialogue with Japan and decided to explore holding this dialogue among their Foreign Ministers." In case there was any ambiguity about whom the intended target of this trilateral was, the joint statement flagged "rising tensions over maritime territorial disputes ... especially in the South China Sea" and "urged the concerned parties to pursue resolution of their territorial and maritime disputes through all peaceful means, in accordance with universally recognized principles of international law." This was the first time the disputed waters had ever been mentioned in a joint Indo-U.S. statement. When they meet again, Obama will be looking for Modi to say yes to elevating the trilateral dialogue with Japan from the official to the political level, but it is not clear how the Indian side will respond. New Delhi has traditionally been wary of the trilateral and quadrilateral format (India, Japan, the U.S. and Australia) because it may fuel rather than hinder Chinese assertiveness on the territorial and security front. In the four months since his last meeting with Obama, there has been no major deterioration in relations with China that would warrant a rethink. Modi is due to visit Beijing later this year with an ambitious trade and investment agenda. Would he risk the possibility of alienating a crucial neighbor by deepening India's role in the American "pivot to Asia?" The answer will become clear very soon. The other area where Obama hopes to make a big push is on the military front. The U.S. has been moderately successful in developing India into a consumer for American military hardware. Russia is still a big supplier but the U.S. has made inroads that would have been considered unthinkable a decade ago. 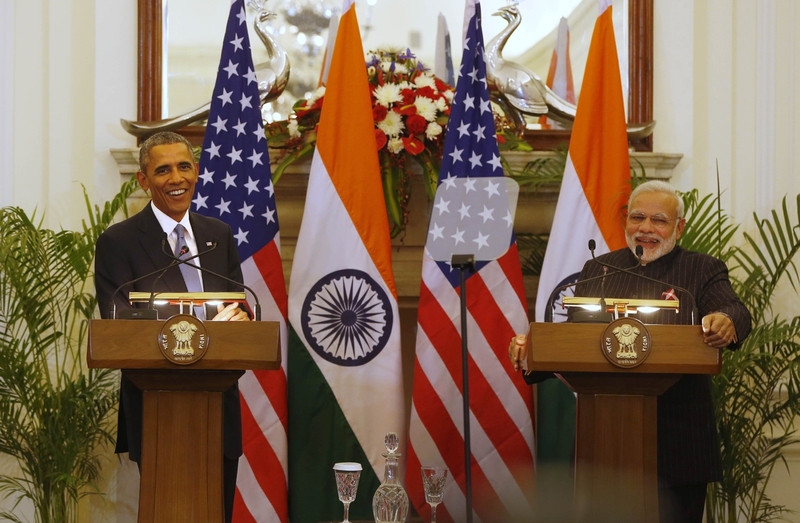 The U.S. has also upped the scope and scale of its exercises with the three Indian services. What remains elusive, however, is the holy grail of inter-operability -- the seamless use of Indian and U.S. military personnel and assets that requires not just the familiarity of working together, but also the use of compatible equipment by the Indian side and, most crucially, American naval and air access to Indian military facilities. The last element requires the signing of a Logistics Sharing Agreement, Communication Interoperability and Security Memorandum of Agreement and the Basic Exchange and Cooperation Agreement for Geo-spatial Cooperation. The Manmohan Singh government had baulked at signing these agreements for fear that it would make India look like a military ally of the U.S. But the Obama administration hopes Modi has the political confidence to go ahead. 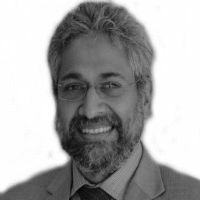 Siddharth Varadarajan, formerly the editor of The Hindu, is now a senior fellow at the Centre for Public Affairs and Critical Theory, Shiv Nadar University, New Delhi.